This contemporary chandelier design combines modern finishes with retro style. The Azure S Chandelier by Eichholtz features a minimalistic, bevelled glass frame that houses a singular bulb for illuminating the space. 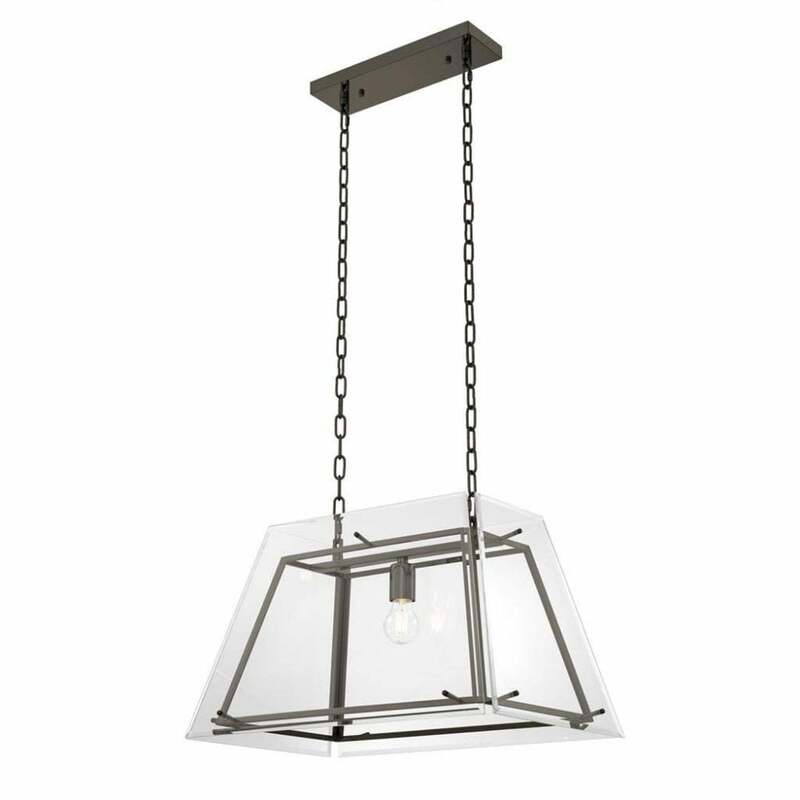 Choose from either a bronze or nickel finish, Azure is hung from a rectangular plate with adjustable chains to suit the ceiling height of the room. Combine in a group of three over a kitchen island or dining table for a contemporary look that exudes sophisticated glamour. Also available in a larger size, make an enquiry for more information.